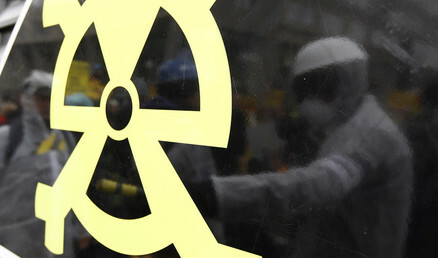 Dangerous radioactive materials from a nuclear waste dump near St. Louis, Missouri have spread to neighboring areas, a new study shows. Storm water runoff from the site has also raised concerns and is being tested for radioactive pollution. According to a peer-reviewed study just published in the Journal of Environmental Radioactivity, there is “strong evidence” that radon gas and water emanating from the West Lake Landfill are responsible for the anomalous levels of a lead isotope (210Pb), created by radioactive decay, in the surrounding area. Just northwest of the St. Louis International Airport, the West Lake Landfill is a repository of nuclear waste from the Manhattan Project, the WW2 effort to create the atomic bomb. The area was declared an Environmental Protection Agency (EPA) Superfund site in 1990, but the federal government is still deciding how to clean up the waste. “The stuff we're talking about at West Lake is hotter than what you would find in a typical uranium mill tailings operation,” said Bob Alvarez, one of the authors, in an interview on Tuesday. The study compared the levels of Lead-210 from 287 sample sites in the area to the baseline established by the US Department of Energy at the Fernald, Ohio uranium plant, which handled and stored the same concentrated nuclear waste from the Manhattan Project. In 48 percent of the samples, concentrations of the isotope were “above the risk-based soil cleanup limits for residential farming,” according to the study. Moreover, the levels of Lead-210 were not in equilibrium with other isotopes in the radioactive decay series, suggesting that its origin was in the “short-lived, fugitive radon gas that escaped the landfill,” the study says. A 2013 report found that West Lake had the largest estimated amount of Thorium-230, “a long-lived, highly radiotoxic element,” more than any other nuclear weapons storage or disposal site in the US. Pollution from the landfill has already been blamed for a sharp increase in the number of cancer cases in the surrounding areas. There are concerns that storm runoff from the toxic waste dump may be carrying radioactive materials into the Missouri river, upstream from the municipal intake for the area’s drinking water supply. Another cause for alarm is the underground fire burning for several years at the nearby Bridgeton Landfill, just 1000 feet apart. Depending on the extent of the runoff from West Lake, radioactive materials may have already been released by the fire, though EPA and the landfill management have denied the possibility. 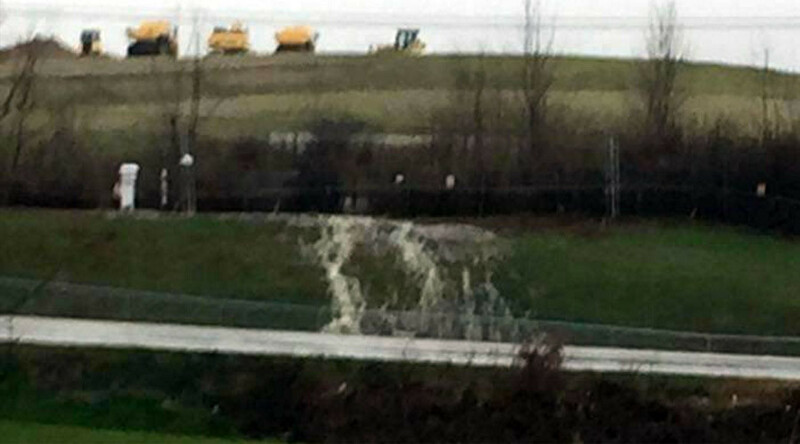 In October, local authorities made public an emergency plan drafted in 2014 in case the “sub-surface smoldering event” at Bridgeton reached the West Lake landfill. County Executive Steve Stenger assured the public that the plan was “not an indication of any imminent danger” and that the procedures in the document were merely a precaution.